Barbie is a little princess. She’d like to go out, but only if she can still look like a real princess. That’s why she’s waiting for you to dress her beautifully. There are several dresses, shoes and crowns to choose between. 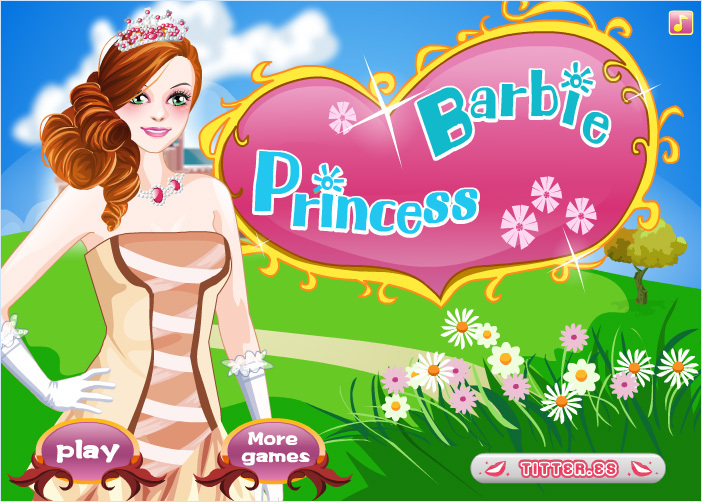 Go to the next page in the game, and select a nice background for Princess Barbie, with some fancy decorations. You can also enlarge or reduce them, and place them exactly where you want to.